Posted in English, Teacher education and development on January 20, 2017 by Nataasha Southwell. This week in our #ELTHeroes series, we are talking to Nicky Hockly. Nicky is the Director of Pedagogy of The Consultants-E, an award-winning online training and development organisation. She is an international plenary speaker, and gives workshops and training courses for teachers all over the world. 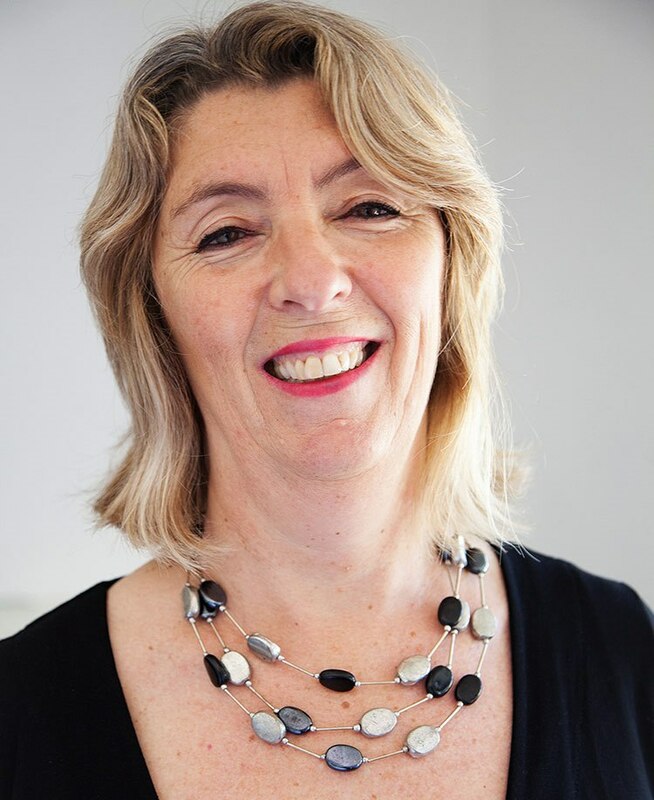 She has written several prize-winning methodology books about new technologies in language teaching, many of them with co-author Gavin Dudeney. The latest of these books are Focus on Learning Technologies (2016), and ETpedia Technology (forthcoming 2017). Nicky lives in Barcelona, and is a technophobe turned technophile. You can find out more about Nicky on The Consultants-E website here, including a complete list of her publications. I started teaching English to adults and young learners in a language school in Spain in 1987, and got involved in teacher training a few years later after doing my DELTA. I started teaching online ten years later in 1997, when I joined a consortium of Spanish and Latin American universities offering one of the first fully online MA in ELT degree programmes. I joined as the Academic Director of the MA programme, but also taught online, and mentored other online tutors. This year (2017) marks 20 years of teaching online for me! In 2003 my colleague Gavin Dudeney and I set up our online training and development consultancy, The Consultants-E. I’m the Director of Pedagogy of The Consultants-E, and we specialise in consultancy work with educational institutions who would like to work with online and blended learning, and educational technologies. We also provide f2f and online training to help teachers integrate technology into their language teaching. And that’s where I am now. I also do quite a lot of writing. So far, I’ve authored or co-authored 8 methodology books for English language teachers about how to integrate a range of technologies into the classroom. I also write regular columns about integrating technologies into ELT for English Teaching Professional, and for the English Language Teaching Journal (ELTJ). 2. What advice do you have for teachers when they’re developing their skills and knowledge in the professional practice ‘Promoting 21stcentury skills’? As I’m sure readers are aware, there are plenty of excellent free opportunities for professional development available on the Internet. There are MOOCs (Massive Open Online Courses), webinars, and professional communities that teachers can join in order to explore 21st century skills in more detail. Some online professional communities that I especially recommend are the IATEFL Learning Technologies Special Interest Group (LTSIG), the Webheads in Action group, and of course the British Council’s Teach English in India Facebook page. Probably the most important piece of advice I can give to teachers is this: once you feel you understand the topic better, and have some ideas about how to work with 21st-century skills in your classroom, try out some teaching ideas with learners. You can then can share your experiences – both triumphs and challenges – with an online professional development group to get feedback, suggestions, and further ideas. Developing professional practice in 21st century skills means not just knowing more about it, but integrating it into practice, reflecting on the experience, and then refining your practice based on those reflections and feedback. 3. Do you think promoting 21st century skills is a real movement or just the latest educational fad? What makes you say that? There is no doubt that our increasingly digital society requires new skills, and these skills tend to be lacking in traditional educational curricula. Ministries of Education in most countries in the world now include some element of 21st century skills in educational curricula for primary, secondary and even tertiary education – at least on paper. This responds to the need of countries to support the development of fully functioning digital citizens, and the very future of those countries depends on this. So, although the term ‘21st century skills’ does sound rather fad-like, once these fundamental educational needs are integrated into curricula at all levels of education, the term itself should hopefully become redundant. At the moment, it’s a useful term to help raise teachers’, students’, and even parents’ awareness of the importance of these skills in education. 4. Why is it important for teachers to understand and develop 21st century skills among learners? How likely will it affect learners in the future, if they don’t have these skills? 21st century skills are increasingly a feature of the modern workplace. If schools do not support the development of these skills for learners, where else are they going to acquire them? The skills of creativity, collaboration, critical thinking, problem solving and so on are obviously desirable in the workplace. Also, in our increasingly technologically driven world, literacy is not just being able to read and write in the traditional sense, but knowing how to understand and manipulate a range of digital media. Hence the importance too of digital literacies. Students who don’t have these skills are clearly at a disadvantage, not only when it comes to employment prospects, but also when it comes to being a responsible and fully empowered digital citizen. 5. Which do you think is the best way to teach the 21st century skills, within a school subject OR separately? Why do you think so? I think integrating 21st century skills is far more effective than trying to teach them as some sort of stand-alone or separate subject. 21st century skills cut across curricular content – they are not related to only one subject in school. Trying to teach 21st century skills as a separate subject immediately divorces it from everything else, and makes it feel less applicable to daily life. Integrating these skills across the curriculum gives students plenty of exposure to and practice with developing the skills. For example, an effective way to integrate a range of 21st century skills into school subjects, is to have learners work together in small groups of 3 or 4 to produce a digital artefact such as a podcast or a blog post, explaining the key points they have learnt about a certain subject: they could recount a historical event as part of a history lesson, or explain a process like photosynthesis as part of a science lesson, or share information about a country for a geography lesson. Working together in small groups on a digital project like this integrates a number of key 21st century skills, namely creativity, critical thinking, leadership and management skills, communication and collaboration, and of course digital literacy. The key to integrating 21st century skills successfully is that teachers receive the necessary training and support from their institutions. It’s simply not feasible to just tell teachers to ‘teach 21st century skills’, when they may be unsure exactly what these are, why they’re important, or how to integrate them into their existing classroom practice. 6. In what ways can teachers integrate 21st century skills when teaching English? Because of my background in educational technology, I’m most interested in the digital literacies component of 21st century skills. As described above, having students work together on digital projects is an excellent way to integrate a range of 21st century skills into one main activity. In case of the English language classroom, students can create digital projects on any number of topics. For example, if you are working on the topic of food with your students, how about getting them to produce a multimedia online poster of their favourite meal, with images and text? Multimedia poster tools like Glogster enable learners to embed images and video, so they could find videos on YouTube to embed, or even film their own videos if they own a simple mobile phone. Working in small groups requires students to communicate and collaborate together. It also requires good time management skills, and knowing how to work effectively with others (a key leadership skill). They also get the chance to be very creative in their creation of a visual poster, and critical thinking is required in deciding what information to include in their poster, as well as what information to leave out. Finally, the creation of a digital online poster students need to work with a range of media (images, text, video), and integrate these into an effective overall presentation, so digital literacy is developed at the same time. I wrote a book called Digital Literacies with my colleagues Gavin Dudeney and Mark Pegrum (Routledge, 2013), in which we look specifically at how digital literacies can be operationalised in the classroom. This seems to be the biggest challenge for teachers – although everyone talks about the importance of 21st century skills and digital literacies, there is very little practical information out there to help teachers actually work on these skills with their students in the classroom. The book has plenty of activities focused on developing students’ (and by extension teachers’!) digital literacies, and you can also find some ideas in a series of blog posts about digital literacies on my professional blog, E-moderation Station (see also the links at the end of the blog post). I’d encourage teachers reading this to try out some of the ideas with their students!